The all-electric FIA Formula E Championship makes its way to Monte Carlo this weekend, just over a month since an action-packed ePrix around the Autódromo Hermanos Rodríguez circuit in Mexico City. 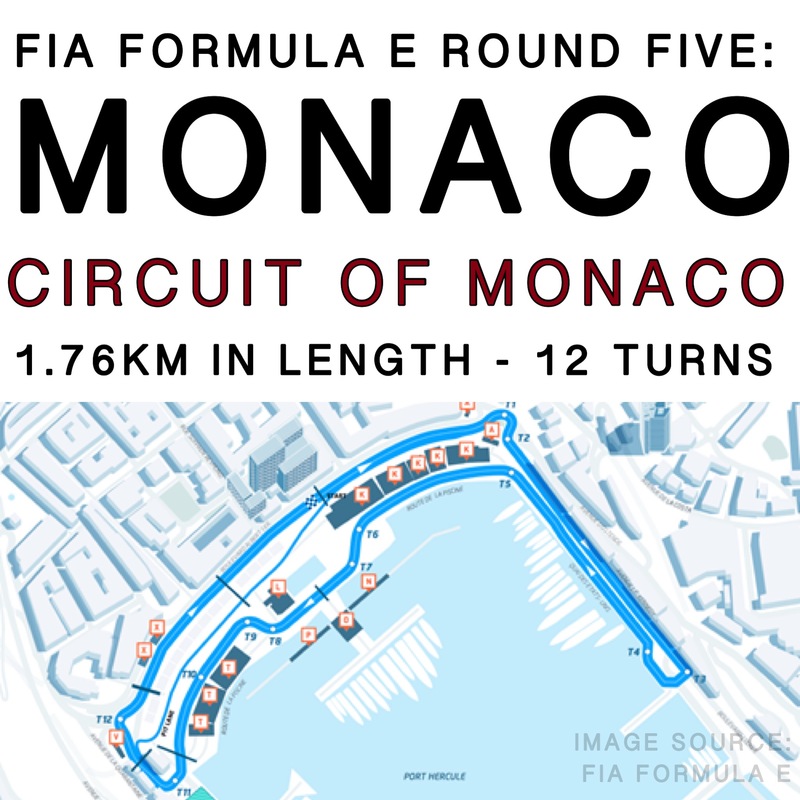 The Monaco ePrix will be the second time the series has raced around the principality, with the first visit to the iconic venue being during the first season of the championship in 2015. It was here Renault e.Dams driver Sebastien Buemi took his second win of the championship, becoming the first driver to win two rounds in the series over two years ago. Mexico City, for many, proved to be the best race the championship had seen since it debuted on the streets of Beijing in 2014. It had everything: pole sitter demoted for running illegal tyre pressures, race winner forced to retire for mechanical issues, multiple spins and finished with both Mahindra team mates wiping each other out after an irresponsible move by Renault e.Dam’s Nico Prost. Unlike the rest of the field, one team that left Mexico on a high was Panasonic Jaguar Racing. The British entry, who are the newest team on the grid, secured 4th and 8th position during the race handing them 16 championship points. It was Mitch Evans that just missed out on a podium at Mexico city, his best Formula E result to date, and British team mate Adam Carroll who fought his way to eighth. Was this progress just a one-off or is Panasonic Jaguar Racing now on the path to success in the all-electric championship? Monaco itself is known for its glitz and glamour. As well as being one of the wealthiest places on earth, it also has strong links with motorsport, being host to the Formula 1 Grand Prix, historic events and various rallies. Almost all the Formula E drivers have raced here and had great success in the past. Although the track is demanding, it offers a fantastic spectacle for fans and television audiences around the world, as well as keeping the drivers on the edge of their racing seats. The 1.76km circuit, which has a total of 12 turns, will be one of two exciting races for the championship within the next two weekends. After Monaco, the championship will head to Paris where Lucas di Grassi took the win last year.